By the time I painted these it was around early December so a perfect time to start on the festive designs. At the time I was searching for fun festive jumpers to add to my collection so I decided to draw some designs I wanted on my nails. 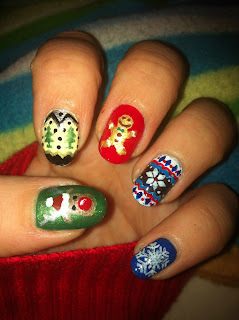 I have a reindeer, a Christmas tree pattern, a gingerbread man, a blue white and red fairisle pattern and a glittery snowflake on my left hand. 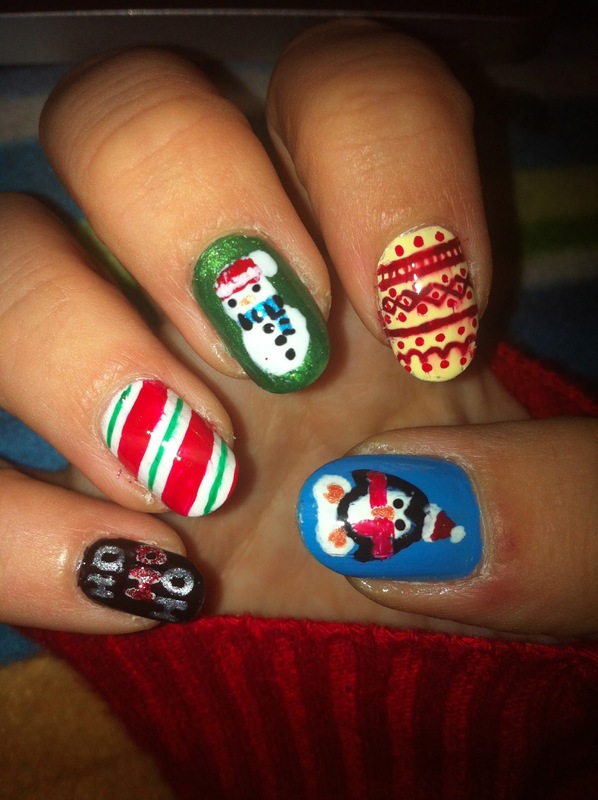 Then a 'Ho ho ho' in glitter, candy cane stripes, a snowman, red and cream patterns and a penguin in a scarf and hat on my right hand.